Most travelers on I-95 in southeastern Georgia probably zip by the Brunswick interchange (EXIT 36) barely pausing to give thought to the signs announcing Georgia's Golden Isles. What's so special about some islands between the Georgia mainland and the Atlantic Ocean that they deserve special mention? The connection might even be lost on history buffs. The Golden Isles of Georgia is a group of four barrier islands on Georgia's 100-mile-long Atlantic Ocean coastline. They are St. Simons Island, Sea Island, Jekyll Island, and Little St. Simons Island, anchored by the historic mainland city of Brunswick, GA. These islands, the largest of the barrier islands in the area, contain vast stretches of marshland, maritime forests, historical sites, and abundant wildlife on both land and sea. Ease of access to hotels, motels, guest accommodations, and pristine ocean beaches make the Golden Isles a popular travel destination for families, nature-lovers, fishing and water sports enthusiasts, golfers, and history buffs. The majority of major islands are accessible by bridges and causeways. 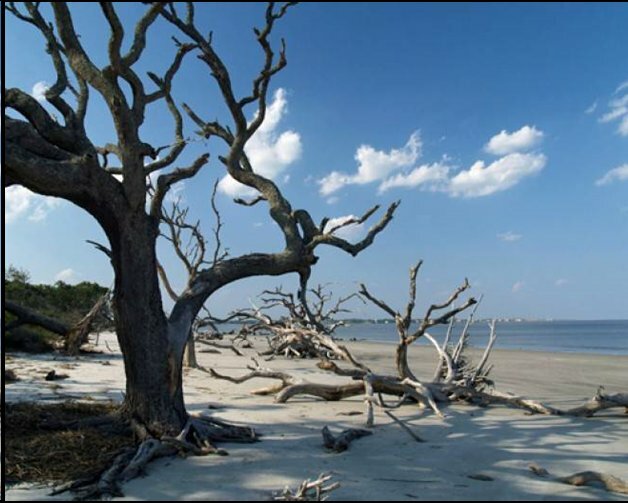 The most interesting and undeniably Crown Jewel of these islands during what was known as the Golden Age of the late 1800's and early 1900's is Jekyll Island, a name and destination not generally familiar to the population at large. The origin of the island's name bears no reference to the 1886 novel by Robert Lewis Stevenson, a thriller commonly known today as Dr. Jekyll and Mr. Hyde. The island's current name was given it by unarguably the most famous person of Georgia's earliest colonial times, General James Edward Oglethorpe. In 1733 he honored a friend serving in the British Parliament, Sir Joseph Jekyll , who never did visit his namesake island. This island was initially inhabited by the Native American Creek Indians and then the Spanish where the main occupations were fishing, hunting and farming. Then in 1886 Jekyll Island was purchased by a group of America's elite (read today's 1%) for $125,000 to be used as a private retreat and the history and status of the island was forever changed. The original club members included Rockefeller, Vanderbilt, Morgan, Astor, Gould, Pulitzer, and others whose names might not be familiar to today's generation. Construction of the first structure on the site began that same year. The Jekyll Island Club Hotel provided club members luxurious accommodations for more than half a century. The hotel included an elegant dining room where every meal required dressing in the prescribed style of the times. The clubhouse, completed in 1887, was expanded over time to its present size. The island and its facilities were designated as a private hunting and fishing retreat for America's wealthy elite. In 1904 a prestigious magazine of the day called Jekyll Island, "the richest, the most exclusive, and the most inaccessible club in the world." In January of every year, from 1888 to 1942, the club opened for the winter season. Here some of the world's wealthiest families enjoyed all manner of outdoor activities. These Captains of Industry arrived for the season in the largest, most luxurious yachts of the day or by private railroad car and were transported to the island to winter at the club or their luxurious "cottages." It was at a time when there was no Income Tax and the average workman's pay (in 1887 dollars) was $1.00 per day. Some members eventually built their own private mansion-sized "cottages." Many are still standing and are now used for multiple purposes. An outstanding example is the luxurious 1917 Italian Renaissance Crane Cottage (Crane Plumbing fixtures). On an island known for exclusiveness and elegance, the Crane Cottage was described in a 1924 issue of Architectural Record as "the most expensive and elegant winter house ever built on Jekyll Island." Some club members considered the house too ostentatious for its surroundings even by their standards. Today, with thirteen guest rooms and its own restaurant, it is a welcome addition to the offerings available at the Jekyll Island Club Hotel. The Great Depression of the 1930's affected even the ultra rich and membership declined. When the United States entered World War II it ordered the island evacuated for security purposes ending the era of the Jekyll Island Club. The State of Georgia bought the island for preservation in 1947 for $675,000. At 5,700 acres (7 miles long by 1.5 miles wide) it is the smallest of the Golden Isles but boasts 8 miles of wide, flat hard packed sand beaches, hard enough for easy walking or biking, and 20 miles of hiking trails. With protective covenants stating that no more than 33% of the island can be developed, the Island is renowned for the preservation of its natural and historic resources, and it provides public access to thousands of visitors annually. The spotless beaches, especially Driftwood Beach, restaurants, shops, amusements, nature and historical attractions are a constant draw for visitors. Numerous excellent motels and inns make longer stays easily available. After the State of Georgia bought the island, the grounds of the original private Jekyll Island Club were designated a 240-acre Historic District. 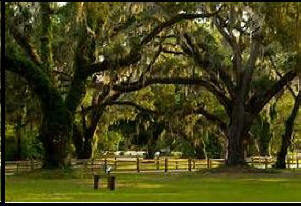 This included many of the structures built during the Jekyll Island Club era. In 1986, after extensive renovations that returned the club's property to its original splendor, the Jekyll Island Club Hotel was opened to the public as a luxurious world class resort with all modern comforts. The 240 acre site has been listed as a National Historic Landmark District since 1978 and the Jekyll Island Club Hotel is today a proud member of Historic Hotels of America. Interestingly there are no walls or guarded gates surrounding the 240 acre site. The public can visit many of the original buildings, stroll the grounds, enjoy strolling in the shade of the centuries old oak trees draped with Spanish Moss, and dine in the elegant Grand Dining Room in the main Club House or any of the numerous restaurants and pubs on the grounds. To fully experience the grandeur of the club's golden era, guests stay in any of 157 superbly appointed rooms at any of five individually different locations on the property while enjoying more than fifty activities: historic tours, croquet, carriage rides, tennis, golf, swimming, bicycling and many other activities. The Jekyll Island Club Hotel is unlike anything most travelers have ever experienced. Accommodations are unique, not the usual look-alike offerings of the national chains. The centerpiece of the Club is the grand Jekyll Island Club Hotel with its signature feature, the iconic three-story turret part of your room when you book the magnificent Presidential Suite. Other rooms hark back to the days when this luxury and elegance was available only to America's elite. While the public could not have enjoyed this level of luxury back in the Club's heyday, it is available now and at surprisingly affordable rates. Thirty-three buildings from the late nineteenth and early twentieth century surround the hotel; many are the elaborate mansion-sized "cottages" built by the rich. Some cottages are part of the Club's hotel offerings and others have been adapted for use as museums, art galleries, or bookstores. One of the original buildings is the three-story Sans Sousi (without worry). Each floor was divided into two suites and was one of the first condominiums in U.S. J.P. Morgan owned a unit on the 3rd floor and William Rockefeller had one on the 2nd floor. With an adult only rule, it was a harbinger of things to come. The wood floors, leaded art glass, stairway and skylight in the building are all original. Its individual rooms are now part of the hotel's rentals. The City of Brunswick, gateway to the Golden isles, traces its history back to Colonial times and the founding of the Georgia Colony by General James Oglethorpe. From its earliest days, the Port of Brunswick was important to the growth and economy of the new nation. In 1789, George Washington named Brunswick one of the five original ports of entry for the thirteen colonies. The island is accessed by a causeway directly from the mainland before reaching Brunswick. A toll plaza on the causeway charges a minimal daily per vehicle. Just before the toll plaza is a Visitor's Center where everything you might want to know about the island is available. If this is your visit to Jekyll Island, you will be delighted at all that it offers visitors in clean, uncrowded surroundings. It offers complete information about rates, facilities and special events.